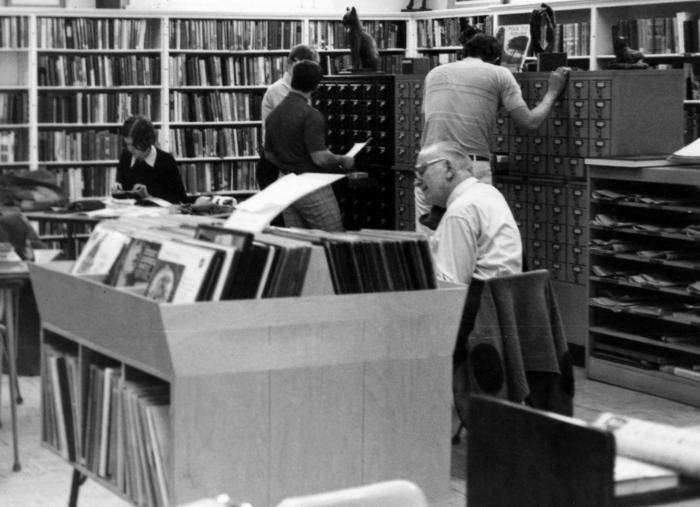 Patrons browsing the card catalog and reading. Location shown is the Callaway County Public Library. Daniel Boone Regional Library Collection . Callaway County Library: serv_bldg_148. Archives of the Daniel Boone Regional Library. 20 Apr 2019.